There's a moment when every campus wakes up. At Liberty University, that moment comes just minutes before 5 a.m. Artificial light from the LaHaye recreation center's second-floor window pierces the darkness over an hour before the sun does. By 8 a.m., the Lynchburg, Virginia, campus buzzes with activity. Thousands of students, staff and faculty hurry not only to class and the library, but also to any number of places that are part of campus life—Chick-fil-A, Barnes & Noble, or Starbucks; the gym, ski hill or shooting range; or one of four stadiums. Liberty is a miniature metropolis doing its best to shake the "miniature." Every hundred yards along the main road, speakers blare Christian music. This afternoon, they play the Kutless hit "That's What Faith Can Do." Their only sonic competitor is a worship tune floating out the open windows of a red minivan. Its driver yields to eager students bustling across the crosswalk to the baseball field, their faces decorated with red paint in support of the home team. In the fall, when Liberty's first season as an FBS (Football Bowl Subdivision) team commences, the whole campus will be wearing team colors. For now, students will have to settle for gorgeous greens and pastel blooms. For Caleb Johnson, the most beautiful thing about Liberty isn't its campus; it's the people. Johnson, a pastor's kid from North Carolina, didn't want to be the stereotypical PK attending a Christian school. But he reluctantly went on a tour of Liberty at his mom's urging. Johnson trudged off the tour bus, looked up and saw something that changed his perspective. He watched as three young women and a man held hands in prayer, then took out their math books to study. After watching these students interact, he says, "I guess I just became a stereotypical pastor's kid because I was hooked." He turned down a nearly full-ride scholarship from the University of North Carolina, Charlotte, to enroll at Liberty. Johnson, who went on to become student body president in his third year, calls it the "best decision I ever made." In recent years, Liberty has made national headlines for both its massive online school and President Jerry Falwell's consistent endorsement of Donald Trump. But lost in those headlines are the stories of ordinary students like Johnson. Roughly 110,000 such individuals make up the student body, including over 15,000 on campus. Charisma spoke to some of those students to find out what Liberty's impact will be on the next generation of Christians. Liberty may be one of the largest Christian universities in the nation, but it wasn't always this successful or big. When Jerry Falwell Sr. founded the school in 1971, Lynchburg Baptist College—as it was known—had 154 students. By 1985, the newly renamed Liberty University had roughly 6,000 students. But behind the scenes, Liberty was struggling financially. In the late 1980s, televangelism donations plummeted after Jim Bakker and Jimmy Swaggart's scandals. Falwell Sr.'s entire financial model had to be rebuilt. In the book Fasting Can Change Your Life, Falwell Sr. confessed Liberty was $110 million in debt in 1991 after running four consecutive years of $25 million deficits. By 1996, the debt was still $70 million, and Liberty was also in danger of losing its regional accreditation. "The Lord impressed upon my heart in the summer of 1996 that it was time to do the unthinkable, that is, personally go on an absolute 40-day fast," Falwell Sr. wrote. "From July 20 to the first of September, I fasted and prayed that 1997-1998 would be the year when Liberty's debt burden was removed by God. So I fasted 40 days, July 20 through September 1." Just 25 days later, he went on a second 40-day fast, fasting a total 80 out of 105 days. As a result, Falwell Sr. said, the university received a cash gift "large enough to pay off our long-term mortgage debt"; replenished cash flow with a gift of several million dollars; appointed a new university president, Dr. John Borek, who served from 1997-2003; and earned full accreditation. Liberty was saved. On May 8, 2007, Falwell Sr. told CNN's Christiane Amanpour that like Hezekiah, he was begging God for at least 20 more years so he could fulfill his vision for Liberty: "We want a huge, major evangelical Christian university." Just one week later, Falwell Sr. died of a heart attack. Days later, at the 2007 commencement ceremony, his son—now the university's chancellor and president—declared, "We have prepared for this transition for 15 years or more. All is well at Liberty." Falwell told Charisma that God gifted him with different talents from his father, as befitted Liberty's leadership for a new season. 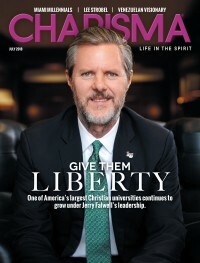 "I don't know that anybody but my father could have started from scratch and built Liberty," Falwell says. "He had that pioneer spirit, and he was just a rugged individualist who was not scared of taking huge risks. ... But I don't know if that pioneering spirit would have gotten it done in the second stage of Liberty's existence. I went through those difficult times [with him] and learned how to operate frugally and with sound business principles. And really, I think that's what was needed in the second stage of Liberty's history, after my dad passed. So I don't think it could have happened without him starting it like he did, without his tenacity, but I'm just appreciative and grateful that God let me play a role in the second stage." One significant part of this second stage has been Liberty University Online. Liberty invested in distance learning from the school's beginning, when students would send and receive videotapes in the mail for classes. The early investment paid off. By 2015, the Chronicle of Higher Education named Liberty the second-largest provider of online education in the U.S. Approximately 95,000 students attend Liberty online, including Super Bowl MVP Nick Foles, enrolled in the Rawlings School of Divinity. "I took a leap of faith last year and signed up to take classes at seminary," Foles told the Associated Press. "I wanted to continue to learn and challenge my faith. It's a challenge because you are writing papers that are biblically correct. You want to impact people's hearts." For decades, Liberty forbade students from smoking, drinking, listening to rock music, watching most movies and TV shows and even dating as underclassmen. But in 2015, an updated student honor code—known as "The Liberty Way"—relaxed the most intense restrictions. The new code emphasizes spiritual discernment rather than strict do's and don'ts. Today, Liberty is still an alcohol-free campus, but students dress casually, listen to Drake while working out and chat about The Office reruns and Kanye's latest Twitter meltdown. In other words, it's still a college. Joelle Brown, a junior who majors in event planning, says Liberty's code of conduct is on par with most typical Christian universities. "It's not like we're back in the 1800s," Brown says. "It's not like some cult where all we do is pray and talk about Jesus, and we don't talk about anything else. ... We still like to have a good time. We show that Christians can have fun in a godly manner." When the students do chafe against the rules, the administration and student government work together to find solutions. Johnson says he and his vice president secured late-night sign-out for students 20 and older, allowing upperclassmen to stay out past curfew as long as they sign out and return by 5 a.m. Freshman Catherine Meijer found Liberty's rules reasonable overall. "As a Christian campus and school, we should be living differently," Meijer says. Lifestyle is not the only reason students are attracted to Liberty. Almost every student Charisma spoke with described the campus as "huge" and "beautiful." Liberty—the nation's eighth-largest university campus—spans 7,000 acres. Early in the morning, students hear a mix of birds chirping and construction trucks reversing. In May, the campus had at least four active construction sites, the result of a nearly $1 billion investment in renovation. Some staff joke that Liberty's new logo should be a construction truck. Another reason the students love Liberty is the faculty. The staff and professors were almost universally praised to Charisma, though students singled out David Nasser, Linda Nell Cooper, Karen Swallow Prior, Nastinka Morgan and Carol Harvey as exceptional. What makes Liberty stand out, however, isn't its lush campus or caring professors. It's the school's emphasis on training champions for Christ. Junior Sara Conrad, who majors in nursing, says, "I went to a public high school, and I was ready for a time when I could grow in my faith instead of being challenged in my faith." Liberty was founded as a Baptist school, and although it has since become interdenominational, many of the students hail from Baptist or Reformed traditions. "There's definitely a strong Baptist pull, especially Southern Baptist," Meijer says. "But I have some good friends in my hall who are Presbyterian. I have a few Pentecostal friends. It's a good mix." Rebecca Olsen, a junior who majors in English, said she senses the presence of God at convocation and enjoys praying for other students. "Pastor David [Nasser] will say, 'If someone is going through something, raise your hand,'" Olsen says. "'Put your hand on the people around you. Just pray over them.'" On-campus students are required to attend convocation, which meets three times a week for worship and a message from a guest speaker. The school also offers Campus Community, an optional midweek service that draws roughly 6,000 students for worship and teaching, and community groups, which are small groups of four to five hallmates who meet weekly to discuss life and faith. Students take mandatory general-education Bible classes, and the Scriptures are incorporated into their normal coursework. Olsen, who attended public school before going to Liberty, says Liberty's approach triggered culture shock her first semester. "I'll never forget my first class in here," Olsen says. "The professor opened with a little about himself, and then he took prayer requests and prayed for everyone. I was like, 'This is why I came here, but it's so weird!'" Liberty offers an environment where students' faith can flourish. "I've learned more about how Christian faith can be applied in my field and life in general," says Dustin Wahl, a senior who majors in government. "But more than just through the classes, I have been blessed by the remarkable Christian community, and that's what Liberty should be known for." As a 501(c)(3), Liberty doesn't endorse any candidate, but to many on the outside, President Falwell's strong national endorsements of Trump have made the school look like a conservative bastion. "Once I was at an amusement park with my sister and ... a man tapped me on the shoulder and thanked me for supporting Trump," sophomore Rebecca Pickard says. "I didn't understand why he thought that until I looked down and saw I was wearing a Liberty shirt." But Pickard doesn't support Trump. Contrary to Liberty's conservative reputation, the school is quite politically diverse. "We can have debates and differences, and it's welcome," Olsen says. "We always see each other as brothers and sisters in Christ, so I'm not afraid of losing or being on the defense like I might have to be—and was, in some ways—in the public school setting." Likewise, convocation has invited a diverse mix of political speakers, from Fox News contributor Tomi Lahren to presidential candidate Bernie Sanders. "Other schools have their safe spaces, and when conservative speakers come, they get riots," Johnson says. "It's really cool to see Liberty University saying, 'We're going to invite speakers who disagree with us.' That's OK, because we're here to learn." Some students voice frustration that President Falwell's public platform may imply the school is a political monolith. Then again, Johnson quips, "If you know anything about Liberty, it's been controversial since its inception." Jerry Falwell Sr. founded the Moral Majority in 1979 and was a key architect in the development of the religious right. In April 2015, before the founder's son endorsed Trump, Liberty's "About" page included that the university was dedicated to "an absolute repudiation of 'political correctness,' a strong commitment to political conservatism, total rejection of socialism and firm support for America's economic system of free enterprise." For many students, Liberty is great in spite of politics, not because of it. "Liberty's not positively affecting the world because we're creating politicians or making political statements or endorsements," Wahl says. "If you talk to the average Liberty student, they will downplay politics immediately, because they recognize that's not how we're truly changing the world positively." The students say politics is less prominent on campus than media outlets portray. For some, the topic rarely comes up unless a politician or pundit speaks at convocation. For others—particularly those in government or politics-focused majors—politics is an everyday issue. "There's a lot of drama that is completely unnecessary and could be completely avoided if it wasn't pushed out there," says A.J. Strom, a history major. The student body president sees both political sides. "A lot of things here get maybe a little irritating, just with how Trump as a figure is pushed toward us," Johnson says. "But I know a lot of students love what he's doing. They may not like the way he acts and a lot of the things he says, but we agree with the conservative policies." Regardless of their political bent, the students say they want to see Christ—not politics—in the spotlight. "We'll be fine talking about politics, but if you ever come to Campus Community, you would see just this absolute passion and pursuit of Jesus, to have Him be known on this campus," Olsen says. "We care way more about whether our classmates are saved than whether or not they voted for Trump." What the students would rather be known for is their heart for service and excellence. They say the student body as a whole has internalized a recent Liberty motto: "If it's Christian, it should be better." "Your testimony's not really worth anything if you're not good at anything," Conrad says. 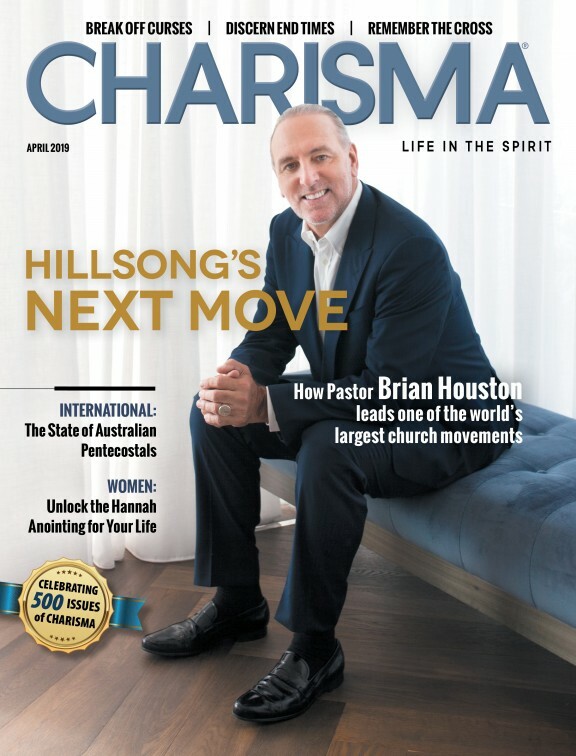 "Obviously, as Christians, we know everyone is worth something, but the people we're trying to reach are not Christians, so you've got to be better. You've got to have that kind of excellence that draws people to you." And for Liberty, that philosophy is paying off. Conrad says area hospitals have told Nursing professors "as soon as we tipped over the 50 percent amount of Liberty alumni [at the hospital], the whole atmosphere changed in certain units." Along with striving for excellence in their fields, students must do 20 hours of community service every semester. These experiences teach students how to find service opportunities in their communities. Johnson calls it "servant evangelism," showing love and leading people to Christ. Students say it's one reason many alumni start nonprofits. "There are a lot of Liberty students who have a passion for world change and, on a much more practical scale, community change, who are poverty fighters and community builders," Wahl says. In April, Liberty held its second annual Serve Lynchburg event, during which 2,000 students, faculty and staff served at more than 90 sites. That involved helping at soup kitchens, cleaning yards after a recent tornado and constructing a home with Habitat for Humanity. "Almost the entire student body on campus gave away their Saturday to help Lynchburg," Johnson says. That service extends beyond the community to the rest of the U.S. and even the world. In 2016, after a tornado devastated Appomattox, Virginia, about 20 miles away, Olsen got an email asking when students were available to help clean up in the wake of the storm. "A couple days," she replied. Almost immediately, LU Send Now—the school's disaster relief organization—sent her an excused absence note for one day and instructions on where to go to help. "This school fights to give us opportunities like, 'We're going to let you have excused absences to help serve people, because that's what Jesus was about,'" Olsen says. "You leave here, and you're already used to serving, and you're looking for more ways to serve. I hope that will be Liberty's crowning achievement." Taylor Berglund is associate editor at Charisma Media and host of several podcasts on the Charisma Podcast Network. Watch as film star Jim Caviezel (The Passion of the Christ, Paul: Apostle of Christ) speaks at convocation at Liberty University: liberty.charismamag.com.